How long is your To-Do list? Too long, probably. So long that you barely have time to maintain it. Have you ever started to work on one item, only to find that you can't deal with it until you address something else? Do you ever add a completed item to your list, just for the pleasure of checking off something? We can track only so many issues at once, and when we try to resolve them, the interactions between them make it hard to know where to start. We become confused by the tangle of problems we face. I call this phenomenon the Zebra Effect, because it's so much like the problem the lioness faces on a zebra hunt. We can deal with it, but we must take some lessons from the lioness. When the zebras run from the lioness, they run in a herd, because a zebra's stripes are its best defense. In a galloping herd, the stripes jumble and seem to intermingle, and the lioness, which cannot see color, is unable to resolve a single zebra from among the herd. Unless one of the zebras somehow becomes separated from the herd, the lioness is unlikely to be successful. The genius of the lioness as a hunter is her ability to force the right zebra to separate from the herd. 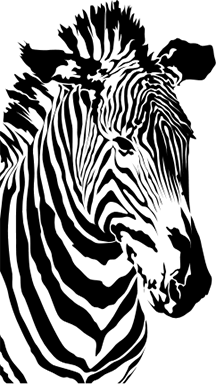 in herdsOrganizational problems use the same defense the zebras do — they travel in herds to protect each other. As the hunter, your strategy most likely to succeed is to isolate and make visible the next solvable problem, reducing the field of problems one by one. Just as in a zebra hunt, solving one problem makes the next one more solvable and skipping the wrong one makes the next one less solvable. Here are some tips derived from hunting zebra. The number of issues you face is a problem in itself. Do whatever you can to keep the issue count as low as possible. The issues you can't deal with at all do keep you from zeroing in on those you can deal with. Eliminate from the list anything you know you simply cannot do yet. Put it on a "To Do Later" list and get it out of the way. Some issues are well isolated, with little connection to others. Hunt them down and get them done. Next, go after those that have relatively little connection to other issues or to things beyond your control. For applications of the Zebra Effect, see "Figuring Out What to Do First," Point Lookout for June 4, 2003; "Keep a Not-To-Do List," Point Lookout for December 26, 2001; and "Devious Political Tactics: More from the Field Manual," Point Lookout for August 29, 2012. Would you like to see your comments posted here? rbrenFqhijrMDroIPpQwtner@ChacrHARwBGxXhVTWUIIoCanyon.comSend me your comments by email, or by Web form. I offer email and telephone coaching at both corporate and individual rates. Contact Rick for details at rbrenvzJXvWydmvzOtCsHner@ChacPBmKGBtbXGmDiliEoCanyon.com or (650) 787-6475, or toll-free in the continental US at (866) 378-5470.